OPEC has agreed to cut production by 1.2 million barrels per day (bpd) to 32.5 million bpd at the conclusion of its 171st meeting of ministers. If carried out from January, this would be its first cut in eight years. The oil futures market, which registered a slump of 4% overnight, rallied in response registering a rise of over 8%. However, the crude reality is that much of the above cut - i.e. 486,000 bpd - will come from the Saudis. As the Oilholic's report for IBTimes UK outlines, others will pitch in too. OPEC also said it would be counting on 600,000 bpd of non-OPEC cuts, bulk of which would come from Russia. That's where the real riddle is. What sort of compliance will we see from Russia? Furthermore, what about internal compliance within OPEC? Mohammed Bin Saleh Al Sada, Qatar's Minister of Energy and Opec President, said a ministerial monitoring committee chaired by Kuwait, along with Venezuela and Algeria would be established to monitor the cuts. Al Sada also described the decision as "historic" adding that: "We have no regrets about not having cut production in the summer of 2014. Opec has reacted to current oil market realities in taking this decision and delivered on what we agreed in September [at the International Energy Forum in Algiers]. More from Vienna shortly folks, once yours truly has digested this crude bit of news! Keep reading, keep it ‘crude’! © Gaurav Sharma 2016. 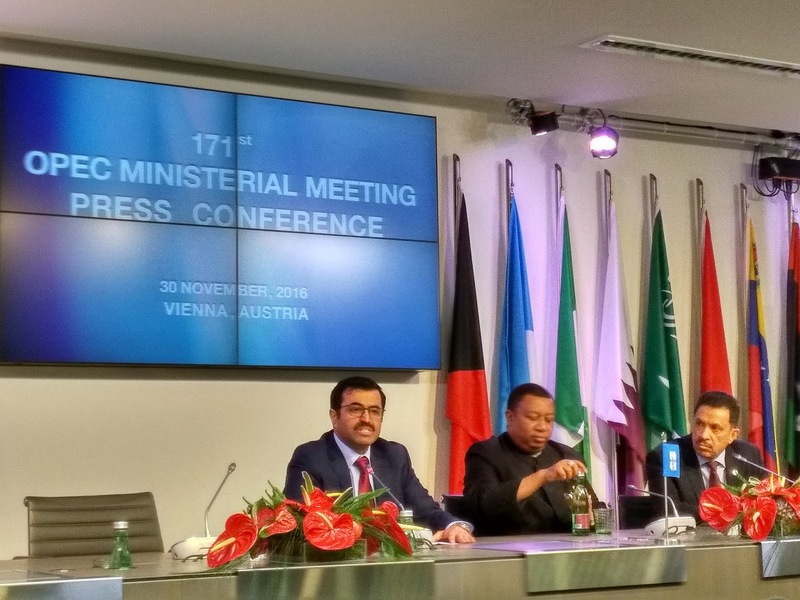 Photo: Mohammed Bin Saleh Al Sada (left), Qatar's Minister of Energy and Opec President unveils an oil production cut of 1.2m barrels per day at the conclusion of its 171st meeting of ministers' in Vienna, Austria on 30 November, 2016. © Gaurav Sharma, November 30, 2016. Full of festive cheer, he’s making a crude inventory, checking it thrice, gonna find out whose Iranian (sorry naughty) and nice – Saudi oil minister is coming to town. Nah, not really! For what it’s worth Khalid Al Falih actually turned up pretty late on Tuesday, just on the eve of the 171st OPEC Ministers' meeting. Having initially told a Saudi newspaper, an Opec production cut may not be needed, speaking at a pre-conference media scrum, Al-Falih said a deal could be done and would need wider cooperation within OPEC. Separately, Suhail Al Mazroui, oil minister of the United Arab Emirates, told yours truly, for an IBTimes UK interview, that the ongoing OPEC meeting was not a make or break scenario for the oil market. Al Mazroui admitted the last few months had seen “intense” negotiations, but added that: "However, from all signs I have seen, things are positive." We shall see. The Oilholic believes a final decision would go right down to the wire, and puts the chance of an agreement only at 50%. Watch this space! More from Vienna shortly folks! Keep reading, keep it ‘crude’! © Gaurav Sharma, November 2016. Photo: Khalid Al-Falih, Oil Minister of Saudi Arabia, speaks to reporters at the 171st OPEC Ministers' Meeting in Vienna, Austria on 30 November, 2016 © Gaurav Sharma, 2016. The Oilholic is back at Helferstorferstrasse 17, the OPEC secretariat in Vienna, Austria for its 171st meeting of ministers, and boy did a fair few scribes turn-up for this one. 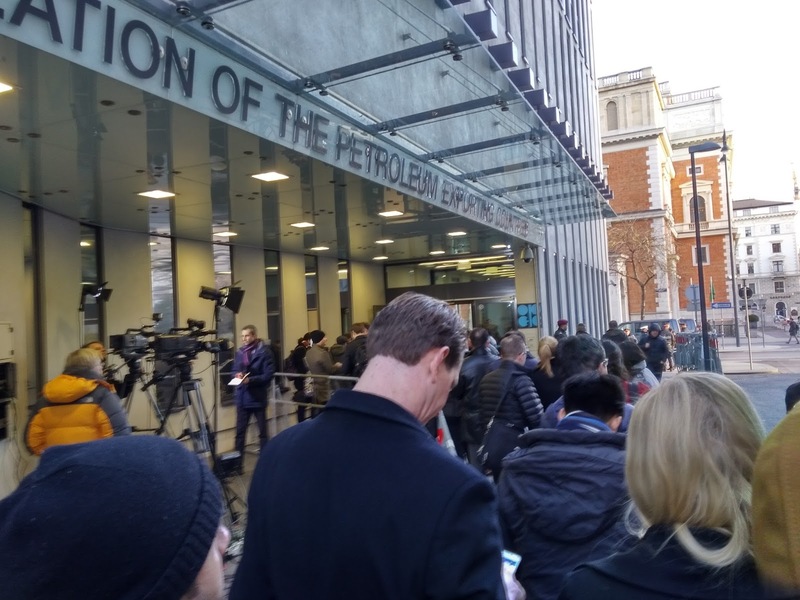 In the considered opinion of yours truly, there haven’t been that many analysts and media people registering for the event since US President George W. Bush called on OPEC to cut production when the oil price was lurking around $147 per barrel in 2008 before it slid below $40 per barrel. Thankfully, the inmitable Jason Schenker, President of Presitge Economics was on hnad to provide some delightful company and some market insight. Testing times always attract more scribes! Though this humble blogger as many of your recollect has almost, always turned up in what is now coming up to 10 years. More from Vienna shortly folks! Keep reading, keep it ‘crude’! Before the Oilholic hit Sydney, there was Melbourne. However, given that flying to Melbourne from London, via Hong Kong had given one a fair collection of air miles, it was time get some rail miles into the mix and travel from the heart of Victoria to the hub of New South Wales with assistance of a diesel-powered Paxman VP185 12-cylinder locomotive. Flying would have taken one up in the air and down into Sydney in little over an hour, but the train journey took 11.5 hours zipping past mountain sides, streams, woodlands, lush green farming country, industrial heartlands, the odd wallaby, countless sheep and towns not normally on tourists’ itinerary accompanied by with changeable weather. Leaving Melbourne’s Southern Cross Station at 8:30am, the 'XPT' or express train headed to Benalla, Wangaratta, Albury, Culcairn, Henty and The Rock stations in that order. 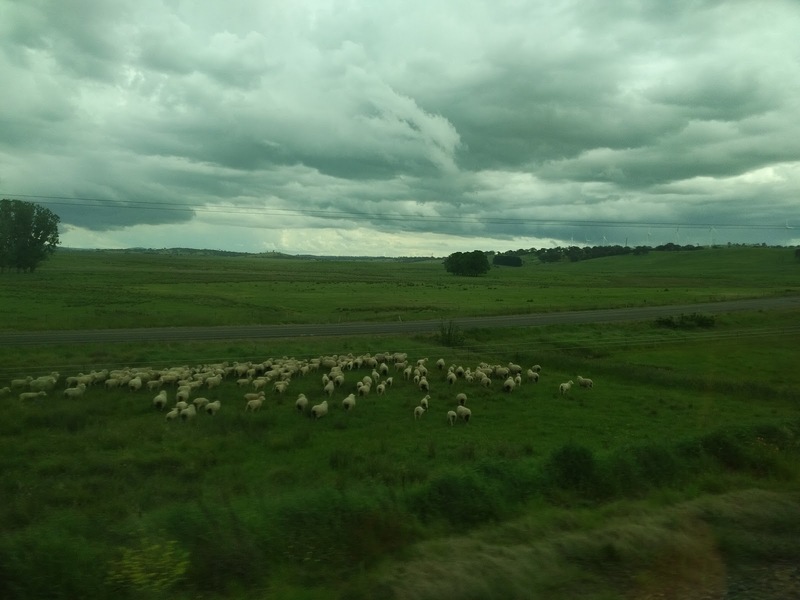 Lawson, Michael Slater and Mark Taylor, the first major town you hit when the train crosses into New South Wales. Following Wagga Wagga, came Junee and Cootamundra (birthplace of the late cricketing great Sir Donald Bradman), followed by Harden, Yass Junction, Goulburn and Mossvale bringing the suburbs of Sydney in sight some 10 hours later. Forever etched in one’s memory – that where were you moment when Donald Trump won the US presidency – well the Oilholic was in Campbelltown just prior to hitting Sydney central! There was no Wi-Fi; but a purser on the train bellowed the results to I must say, a very surprised carriage! 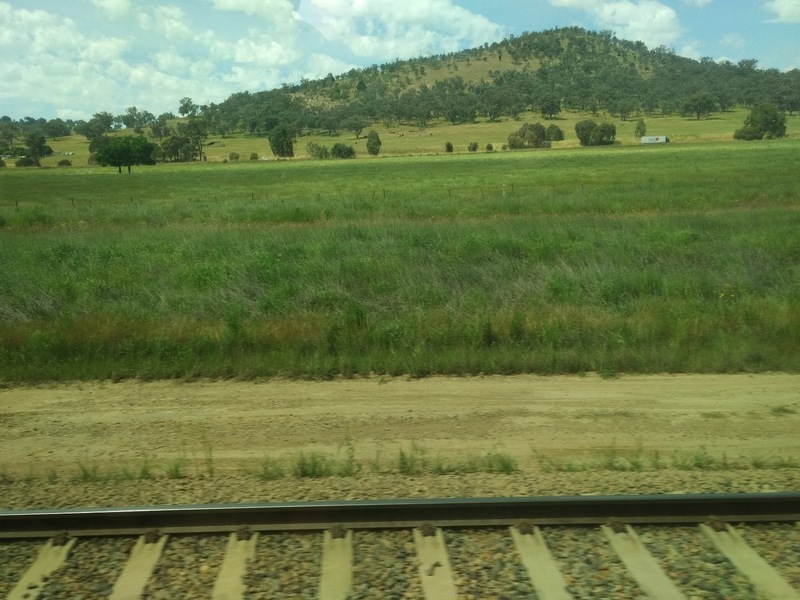 The Oilholic’s assessment – the journey might well have been between Victoria and New South Wales, but in a cool eclectic sort of way, a throwback to 1980s British Rail. Afterall, it was the British Rail intercity service that its Aussie cousin was modelled on back in April 1982, and all those years later it still exudes that rustic charm, which may or may not be to your taste. 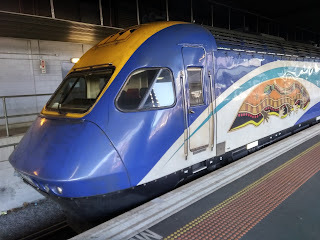 In 2016, the XPT yours truly got on at Melbourne saw the Paxman locomotive with four low-pressure turbochargers and two high-pressure turbochargers giving it 1,492 kW / 2,000 horsepower lug six clunky carriages (seven during peak times) between Melbourne and Sydney, with one being a sleeper car for those who can’t handle the arduous journey sitting up. Two trains go in each direction dialy. There’s a pantry car too, serving hot meals, cold beer and plenty of sausage rolls. This blogger loved a throwback to the old days. Some, including Aussie mates, say it’s for the train buffs only or a dumb touristy move. If that’s the case, the Oilholic is guilty as charged. That’s all from Australia folks as an amazing week comes to a close, New Zealand calling next! 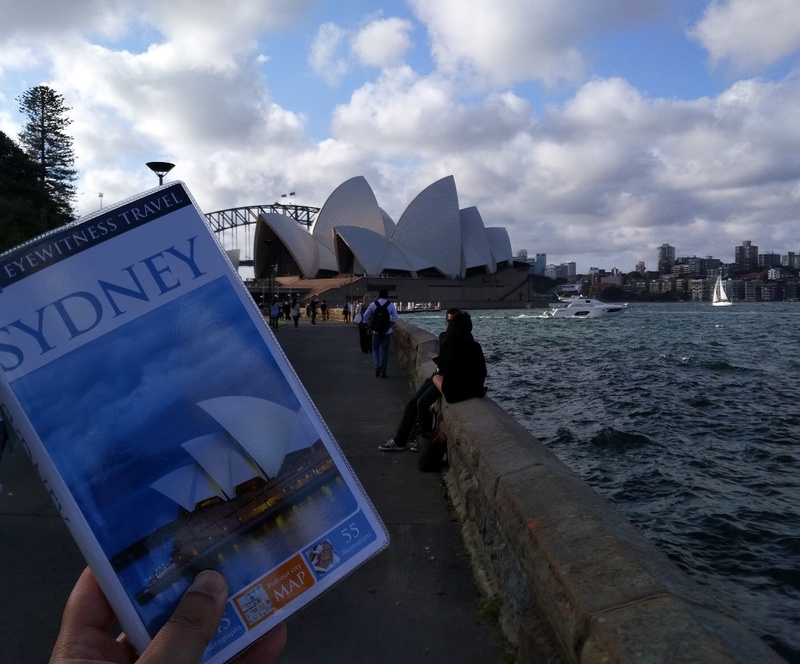 One leaves you with a view of the Sydney Opera House (Click on all images to enlarge); seeing it means one more item off the bucket list. Keep reading, keep it ‘crude’! © Gaurav Sharma 2016. 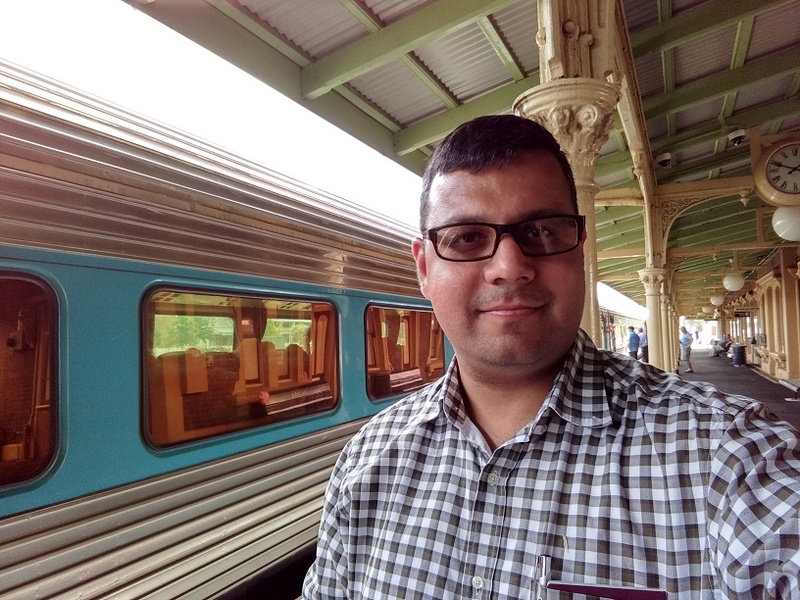 Photo 1: XPT Melbourne to Sydney service. 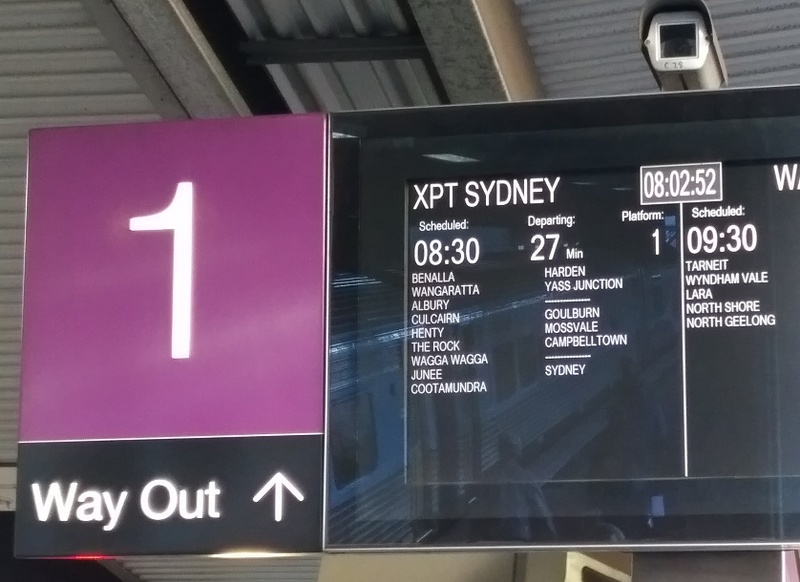 Photo 2: XPT Melbourne to Sydney morning service destinations and departure board. 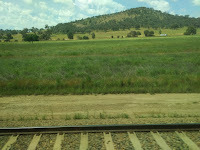 Photo 3: Australian countryside. 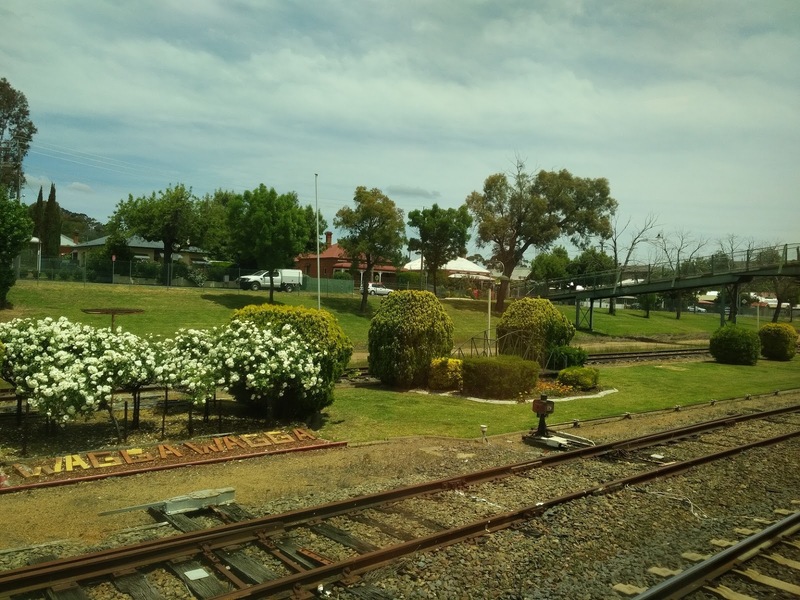 Photo 4: Arriving at Wagga Wagga. 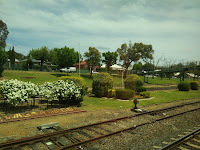 Photo 5: Train station in New South Wales. Photo 6: Sheep in Australian countryside. Photo 7: Sydney Opera House © Gaurav Sharma, 2016, Australia. The Oilholic finds himself 10,600 miles away from London in Sydney, Australia via stopovers in Singapore and Melbourne, for a much needed vacation in the sun. Away from vacationing, one finds oil and gas analysts here in a dour mood given the state of affairs in the market. The crude price continues to tumble, and for the record, few here have faith in OPEC’s ability to change that bar a short-term reprieve of some description in tandem with Russia. However, more of an immediate concern to the Aussies is the incremental volume of US natural gas entering the global supply pool to compete with both its and Qatar’s exports to Asia Pacific. Simply put most expect the global natural gas glut to escalate. Long-term contracts seem to be the order of the day, as the Oilholic noted in his comments via a column for Flame conference blog last month. While pricing arrangements attract a premium to Henry Hub prices stateside, it is prudent to flag up the sub-$3 Mmbtu prices currently being noted. Sources suggest prices for LNG delivery for Asia from Australia aren’t that far off, but a mere $1.20 above Henry Hub, down almost 40% in year-over-year terms from what the country’s exporters were charging Asian importers in 2015. Problem for Australia is that project sponsors have pumped as much as AUD$200 billion (US$150 billion) to AUD$ 250 billion, over the last decade, towards LNG projects depending on which local industry gauging parameter one uses as a benchmark. Analysts are more inclined to agree with the upper end of the range. Many of the project commitments and investments were made during the boom times. Some are hard to retreat from in leaner climes. Australian Petroleum Production & Exploration Association (APPEA) says nearly AUD$80 billion worth of LNG projects – namely Prelude, Wheatstone and Ichthys – are under currently under construction. When in March just as Chevron’s Gorgon LNG project shipped its first cargo, Woodside Petroleum and its consortium partners Royal Dutch Shell, BP, and PetroChina, cancelled the Browse LNG project, having pumped billions into it. Local opponents and environmentalist cheered the decision. However, what ultimately killed the project was the unworkable economics of it all in the current climate. The decision also came as no surprise to analysts in Australia. There is a natural gas glut, and with the Qataris, Russians and Americans also vying for contracts in the no-longer so lucrative Asian market, most here expect more pain and fewer monetary gains for LNG proponents. 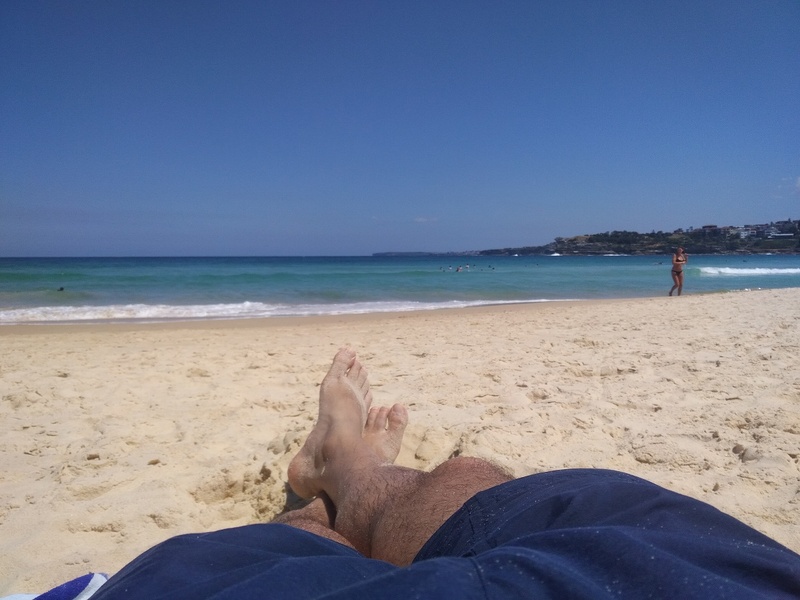 That’s all from Australia for the moment folks! The Oilholic leaves you with a view of the imposing Loch Ard Gorge, part of Port Campbell National Park, Victoria, Australia; a few hours drive from Melbourne, which one had the pleasure of visiting earlier in the week before leaving for Sydney. 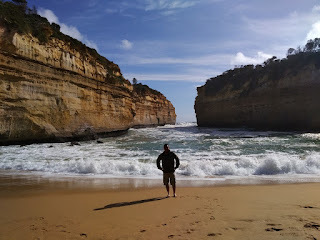 The gorge is named after the ship Loch Ard, which ran aground in the region's perilous waters on 1 June, 1878 approaching the end of a three-month journey from the UK to Melbourne. Only two - Tom Pearce and Eva Carmichael - of the 52 passengers and crew onboard survived, creating a local legend. Courtesy of the global gas glut, the Aussie LNG industry faces similar metaphorical perils. Keep reading, keep it ‘crude’! © Gaurav Sharma 2016. Photo 1: Bondi Beach, Sydney, Australia. Photo 2: Lock Ard Gorge, Victoria, Australia © Gaurav Sharma, 2016.